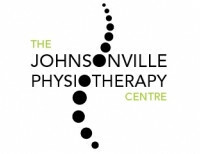 For excellence in physiotherapy care contact the team at The Johnsonville Physiotherapy Centre. We also offer Clinical Pilates to assist with your recovery. We welcome both ACC and private patients - with no referral required. We are located on Johnsonville Road, and are available for patients throughout the northern Wellington suburbs. Monday, Wednesday and Friday afternoons. Please call for more information and to create an appointment today.